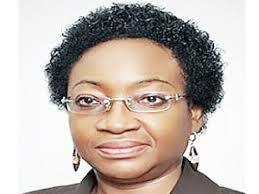 The Permanent Secretary, Ministry of Science and Technology, Winifred Oyo-Ita, has said that trading in herbal products worldwide is estimated at $100 billion, about N19. 9 trillion, NaijaAgroNet reports. She said herbal products have become a great source of job and wealth creation worldwide even as she urged African countries to exploit their natural resources. Mrs Winifred Oyo-Ita was speaking at the 2015 HERBFEST workshop with the theme “Food as medicine: utilisation and sustainable exploitation of African medicinal plants and natural products” which was jointly organised by the Bio-Resources Development and Conservation Programme (BDCP), Federal Institute of Industrial Research, Oshodi (FIIRO) and Nigerian Natural Medicine Development Agency (NNMDA). According to The Nation report, she recognized science and technology as a veritable tool to drive the economy towards growth and sustainable development, adding the ministry has the critical and strategic mandate to boost the sector. “For the nation’s bio-business to thrive and be sustained, her medicinal, aromatic and pesticidal plants (MAPPs), animals/animal parts and other raw materials used for herbal medicine, species, cosmetics and other products development need to be properly identified, made readily available and backed with scientific evidence based information and technological infrastructure to enable their cultivation and conservation,” she advocated.